Is every document from your organization easy to read and understand—the first time someone reads it? If not, our writing workshops can help. For an excerpt from one of our workshops, click on the video to hear Dr. Kevin Ryan explain the importance of “Message vs. Mechanics." 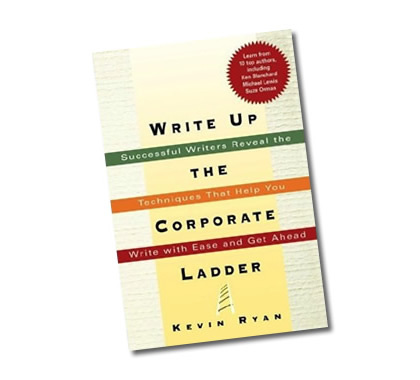 Our workshops are based on plain language concepts and on the business-writing techniques outlined in Dr. Kevin Ryan's book, Write Up the Corporate Ladder. When the US Navy SEALs requested a writing workshop customized for their senior NCOs and junior officers, we started by looking for relevant writing examples and found an order written by Napoleon. Dr. Kevin Ryan's book teaches a practical, commonsense approach to writing clearly and concisely. His simple, easy-to-apply tips quickly add power and appeal to everything you write. To browse through his book, click below, and then click "Look Inside." Small, medium, and Fortune 500 companies rely on us to improve the writing skills of their employees.